Enjoy a game of football at Sportcamp Woferlgut campsite. Walking makes a great way to get some exercise, and this park has some great walking nearby. Sportcamp Woferlgut campsite has plenty of areas for you to explore. Want to have a closer look at Sportcamp Woferlgut campsite? If you think Sportcamp Woferlgut campsite in Zell Am See is the holiday park you, why not have a closer look, and check out prices and availability. Sportcamp Woferlgut campsite family holiday park has 350 pitches. Eurocamp have family holidays parks all around Europe. 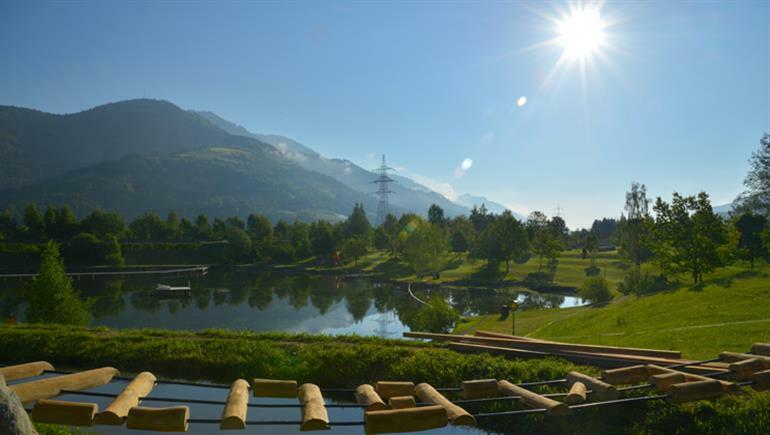 Sportcamp Woferlgut campsite (AU011) is just one of the family holiday parks in Zell Am See, Austria. Have a look for other holiday parks in Austria. You can also see what other people though with the reviews of Sportcamp Woferlgut campsite. These are the reviews for Sportcamp Woferlgut campsite. There are 123 reviews. The area is full of places to go and things to do. Normally come by motorcycle. This year brought the car and friend. Also used the train, very useful to get to places like salzburg. What an epic holiday- so many things to see and do! ideally situated, the campsite wants for nothing. Can't recomend it highly enough! Clean, well run camp site with excellent facilities. Swimming pool very small but lake swimming was an alternative if you don't mind the open water swimming. The caravan we were allocated was very basic and in need of some tlc. The area around the caravan was very overgrown with weeds and nettles which didn't make you want to sit out and relax. When we highlighted this however it was rectified but first impressions weren't great. The camp was very nice and the parks were loved by our children. The location was fabulous it was just a shame the caravan was so basic and pokey. Austria was great but the camp site wasn't as the brochure depicted. The lake is nothing more than a large pond that smelt like a still water pond and had green slimie water, the free canoes were usually floating upside down full of water in the middle of the pond, there are no paddles. Our caravan was literally next to a main road. There were loads of wasps nests around and indeed my children found one, my son was stung around 20 times. We didn't see much of the reps, on the last day all they were worried about was us cleaning the caravan properly. They also neglected to tell us we couldn't get out of the cap site at 3 in the morning, unfortunate as I told them this was our plan, I ended up driving through a pedestrian area moving plant pots and driving over lawns to get out. This campsite is in a beautiful setting and makes a convenient stop on the way to or from italy. I have stayed longer and it is a great base if the weather is good. Unfortunately, it cannot always be relied upon and it did rain very heavily on the night we stayed. . . the site staff could more to engage with their english customers. We have stayed here 4 times and still don't know how to use the sauna or kids' club. Maybe it's our fault for not speaking german. Overall an excellent location and site, although wet weather curtailed activities a bit. lake and tennis court facilities were great and lots to do in the mountrains. . slight shame there is a main road bisecting the site and eurocamp mobile homes back on to this. that isn't mentioned in the brochure and probably gets censored from reviews! noise isn't too bad but would be nice to have had perfect alpine tranquillity. Overall the campsite was very good, austria was great and welcoming. The two snags were one washing machine in each toilet block - spend too much time going back to see if it was free or searching for another washing machine and the pitches were too close together. Tents are a bit close together, camp excellent just a little to expensive for a tent. Great camp / hotel in a good location to see all the local attractions. Very enjoyable holiday. We liked this parc very much. The hotel had many features which added to the holiday. The lake was brilliant and the children wanted to play there whenever they could. The kids loved all the activities at this park. The main downside for me was the proximity to s busy road, not in terms of safety, but noise. The mobile home that we were in was right next to a road that had constant busy traffic, so when sitting on the deck, you were aware of it. the lake was fab, but was also next to the road. The eurocamp communications at eurocamp sportcamp were wonderful once we knew who to speak to. we booked by eurocamp website, and then emailed sportcamp for some travel information regarding trains and linens. they could only refer is to eurocamp saying they had nothing to do with eurocamp.there were a few emails to eurocamp and sportcamp before we were giving the email to the on site eurocamp representatives who were wonderful. it would be nice to know when you book a holiday who to email for information . we have only used eurocamp once before, two weeks earlier we had stayed at koningshof in the netherlands and we're treated wonderfully by the staff via email before arrival and when on site . they never once said eurocamp was a courier and to contact them directly. ) as this was our only experience with, eurocamp we did not realize we were doing something wrong by emailing sportcamp for information as that is where we were going. It was quite stressful trying to arrange our holiday and not knowing who to contact and feeling like we were a bother to sportcamp. We arrived late at night at the park and had to go to the eurocamp cabin to get the map to our cabin. We asked about checking at the restaurant, as that was the only place open, they said they had nothing to do with eurocamp. this is very stressful to hear at midnight when travelling with two children. she told us to go to the eurocamp cabin. after we asked more questions and she was annoyed enough she showed us the direction to go to the cabin. .
Beautiful surroundings, lovely family atmosphere. A fantastic location in the mountains. campsite was great, although we were right beside the road that others have mentioned. it was a bit noisy but did not spoil the holiday. there is loads to do in the area and the lake at the campsite was fabulous. however, that does mean the pool is very poor. Camp was clean and tidy in a beautiful setting. lots to do with the family on parc and for day trips. Our young family had a fantastic stay, facilities were amazing. Kids club, playroom and outdoor play areas were clean and safe. Resturant was fantastic, great breakfast served every morning and evening meals were delicious. Will be returning next summer! This was the fourth time in 16 years we have been to woferlgut, the most recent being last year. My only negative comment last year was about the wifi and this was greatly improved this year and we had no trouble accessing it in our eurocamp mobile home. As ever, woferlgut is first class and ideal for families and we recommend it very highly. The park was unbelievably clean, very well set out & had awesome facilities. The lake & obstacle course were sensational. The mini golf was fabulous. Would highly recommend this park!! A great holiday with opportunities to experience many varied activities. The only thing missing would have been an indoor "easy chair" to kick back in - otherwise the parc and accommmodation was spot on. The couriers were perfect, there when needed, not in your face when trying to relax and unwind. It is difficult to give a true overview of the campsite or holiday. We spent 6 days here and it rained steadily, day and night, for 5 of these dats. . the only area we saw of the site was the recycling and rubbish collection area which were well irganised and spotlessly clean. Brilliant holiday - super for couples!! We had a great holiday, decent weather and lots of interesting things to see and do. Beautiful area. lots of good walking/hiking. Not good. really poor location of caravan and really poor caravan offered on arrival, it was cold with a horrible red leather interior, very small and not the usual offering expected from key camp. the plot was not kept well, dead try over the van so dead leaves on the decking every day, no sun at all day or evening, the facilities on site were ok but the shop was barely open, when the site is open the shop should be open. the crazy golf was a ridiculous price per person, the hotel although nice was incredibly overpriced, the staff a bit snotty, alocating you not so nice area of the dining room. all in all, made me rethink if I could eurocamp, had a far better experience at key camp. its a shame that this site has marred my judgement so much. Second time at park not same as 2yrs ago,van ie.169 in to shaded area overgrown by to many firs not eurocamps fault as it appears the site sets this. Left site after 5 nights early due to very wet weather. And general dampness van etc. Campsite was very quiet as it was outside of the main holiday season, which was just what we wanted. And it was ideally placed for exploring by car. (especially the grossglockner and krimmler falls). Water leak in roof (due to heavy rain) caused flooding in one bedroom. One of our bags was left soaked along with all the clothes. Had to move to adjacent caravan. Austria is a really beautiful county and this campsite is well-placed to explore it, even if the immediate surrounding area is not overly pretty. The campsite is based around a hotel so has great facilities – a lovely restaurant and bar, well-stocked shop and excellent indoor and outdoor play places. whilst the pool area is small, the lake has lots of space and my children loved swimming in it. the washblocks were absolutely spotless – the best i’ve ever seen. . however, we wouldn’t recommend staying in a eurocamp tent here – not only are the pitches crammed in really tightly (the space between our bedroom ‘wall’ and the tent behind was about a foot!) with no space around your pitch at all and zero privacy, the sound from the dual carriageway that dissects the campsite and the lake is really bad and the lorries woke us every morning. the eurocamp mobiles are directly next to the road but at least you can keep windows shut so they might be a better bet. however, don’t let that put you off the site as it’s very clean and well-organised and the site staff (rather than the eurocamp ones) were excellent – friendly and helpful. . . if we visited again, i’d like to see more of the austrian countryside – cable car/lake trips etc – but we only stayed for two nights and chose to go to berchtesgaden for the day. worth the hour’s drive though – you have never seen a more german town and on a sunny day, it was stunning. . pack for an english summer – we arrived on a saturday in august to 13 degrees and rain but the next day saw 21 degrees and lovely sunshine! . Great place. excellent location for day trips. Excellent food in the restaurant. Cool lake. Kids club and facilities like tennis courts were super. Lovely parc with loads of great facilities. Fantastic location if the weathers allows you to make full use. An excellent holiday and one of the best parcs and locations we have stayed out. Great lake, wonderful food in the hotel and the hotel staff were really helpful. Also hans the on site dutch walker who runs daily walks for the whole parc up into the mountains really made our holiday!. the only down sides were:. 1. The eurocamp caravans were very near the busy road, but handy for being near the lake. 2. The trampolines are dangerous because they contain hard areas. My daughter had to go to hospital and be in crutches / plaster due to damaging her ankle. Also a boy next door to us also ended up in plaster and crutches due to these trampolines. So please ask your kids to be careful on the trampolines. Wolfergut is a nice, friendly , medium-sized campsite with great facilities and activities for the kids and a good restaurant and bar. It is well situated to visit kaprun, the breathtaking grossglockener strasse, zell am see and several other very pretty places. . however, it is totally spoilt by the noise of the nearby road just about 100 m away form the eurocamp tents. Despite the courier's assurances that the trucks do not drive at night, the road was in constant use, and that, combined with the noise of the train, planes, etc prevented us all from getting a good night's sleep ( with ear plugs) on both the nights we were there. Even during the day it wasn't restful to sit in front of the tent and relax because of the constant noise. If you go there, then make sure to book a caravan, though I think they were even closer to the road. Another reviewer had mention the noise and I really wish I had taken more notice now. Loved it had a great time, site had all you need near by , lake or pool to swim in, nice crazy golf course, bikes for hire and a short 5-10 min walk into brock or the local supermarket and of course the hills and stunning scenery. Already thinking of returning in the winter to compare the seasons. Great staff, very friendly, the cleanest mobile home i've ever stayed in despite being one of the older ones. A great location but a long drive from home. the weather can be very variable! fantastic countryside, many great driving experiences! Brilliant holiday, children age 6 and 9 had fantastic time. eurocamp staff were wonderful! Location is beautiful, site is well laid out with good facilities. Only gripe was the depth of the swimming pool which was just a bit too deep for our kids (ages 8,6 and 3). lots to do in local area - kids loved the sommerodelbahn (mountain rollercoaster) at kaprun and the adventure trail on the schmittenhohe mountain. The parc and staff were excellent. Beautiful parc in a beautiful location. caravans were in great shape and well equipped. staff was very friendly and helpful. 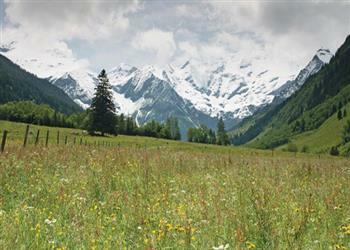 This parc is a great location to be central to all those wonderful austrian alps' experiences. Parc has a nice layout, lovely restaurant, an outdoor lake to swim in, a lovely spa, a little town walkable distance away, all the amenities you might need both in town and a short drive away for bigger / more items. I would say that to get the most out of visiting this parc one would need a car to get around as there was not much in terms of facilities and amenities on site. the one "heated" swimming pool was far to cold and was not therefore used. We would not go swimming in the beautiful lake on site as it contained crayfish and the water was very brown and again, was extremely cold. we would recommend this site to young families as there was plenty to entertain young children however, there was not much available for anyone over the age of twelve, and there was no evening entertainment. This is why you would need a car to go off site and visit the local area which is just stunning. The onsite restaurant, bar, shop and washing facilities were all very expensive to use. we did enjoy the site as we visited before the main holiday period and the site was very quiet and well maintained. A brilliant holiday and a fantastic parc. Austria is a great holiday country and this campsite got to be one of the best. This campsite was a lovely compact site with wonderful views of lakes and mountains which was just what I wanted, everything was just what we wanted . Excellent solution with a dog. we found the main bedroom very cramped. the seat cushions by the door were forever falling off, the velcro did not work!!! A good holiday where we stayed at 4 eurocamp sites all in great locations. Caravans we're clean but some were a bit below the standard we would expect and looked a little tired. We planned the holiday we wanted very carefully and at the end of it felt that we had achieved what we set out to do. for various reasons we had not had a holiday away for many years, but had really liked woferlgut 13 and 15 years ago. It lived up to our expectations as did keycamp/eurocamp. Overall the holiday was amazing value for money with plenty of activities to keep you busy throughout the holiday. I would recommend the service from eurocamp to anyone. Eurocamp and the staff excellent, in particular team leader sam, the facilities were good. The restaurant staff were rude and abrupt. Our holiday was spoilt by 4 days of bad weather. The park advertises a games room which turned out to be a dark room with a broken pool table and a couple of early 90's arcade machines. This resulted in very bored kids. On the sunny days the park was fantastic with a big lake to swim and canoe in. We caught crayfish, tadpoles and even a small snake! Great location - staff and food in hotel really good - great prices. Having moved to this site from natterersee, I was disappointed. although closer to town amenities, and having a small pool, the lake was not good for young children (beach access needed a climb over big rocks), and the lake had much floating debris. Lovely park, not a lot to do on site, apart from the pool or the lake which is good. An excellent base for those looking for outdoor activities and spectacular scenery, the caravan was a bit tired but very clean, and we met some very friendly local people. the bar and restaurant at the camp site were excellent serving food of a high standard. the only complaint we have is that the site receptionist was unwilling to assist with cycle hire from the site and although we could see that bikes were available we had to go elsewhere to hire them. The camp is situated by a bypass road which is noisy particularly in the morning. the beds were to narrow and I felt the accommodation was trying to squeeze a quart into a pint pot. I prefer the older classic 3 bedroom layout. Being on a m/cycle tour, this parc is an ideal base for the the circular touring of the high roads and views. When we got there in mid sept it was in between seasons and the camp facilities were either closed or very quiet .it rained constantly every day. Bruck village was quiet with very little to do.the rep apologised that the unit we were alocated was 10 years old and normally they were replaced ,but company policies had changed and they keep them longer since a takeover of keycamp. We were booked for 7 days and spent most time playing cards,provided.just as we thought things could,nt get worse ,on day 5 my wife fell and dislocated her shoulder.the reps were helpful but my wife spent 2 days visiting the brilliant local hospital. We then decided enough was enough and set off driving home a day early. We certainly had a poor holiday and were glad to get home. Didn't like it. Having just been to south of france then lake garda, austria was a bit of a let down. Difficult to find, again rubbish directions, thank you eurocamp. Eventually got there very late at night, in the cold wet rain. Heating had been put on so thank you to ali & steve. Had a great few days exploring the zell am see area. lovely walks. quiote a lot of rain though. Lovely campsite, great couriers. Weather could have been better! The campsite is alongside a major road at the homes back onto the road, so there is significant road noise all night. . our pitch faced nw so the sun deck got hardly any sunshine. Terry was very helpful, friendly and worked very hard cleaning the homes. The lack of availability of wifi at the mobilehome will be a major consideration for us in future. Positivse - area very nice, good for hiking and cycling. Negatives -mainly accomodation, location of the caravan just next to a very busy road, also some facilities (tennis courts, volleyball) next to this road, only from the other side. Caravans quite close to each other. Park facilities acceptable but not very good. Great park with a vast range of activities, stunning location and couriers who obviously had a great passion for their role and the area. Great parc with lots to do, helpful and friendly staff and good restaurant for evening meals. A lighter lunchtime menu would have been good for us on our arrival and departure days, and our lodge was a bit cramped. Also a toaster and oven gloves would have been useful. We have been going to this site since 1990, so know it well! Excellent location so much to do - need to come back to see the rest! We had an excellent holiday overall, took our 5yr old grand daughter and the site had the right amount of facilities for children without being over commercial, it was very safe, exceptionally clean and friendly. The surrounding area and scenery was stunning. We stayed in the hotel on our first and last night with a week in between with keycamp in a mobile home. Our courier terry, was very helpful and friendly and gave us lots of tips during our stay - such how to get to salzburg on public transport and when there an austrian holiday as all the shops would be closed etc. The hotel room and restaurant were really lovely -our 4th time staying there and we will definitely be going back! We had a fab fortnight at woferlgut, helped by amazing weather. Tennis everyday on all weather courts, great lake to swim in and row over, well equipped gym and loads of hills to explore. Bike hire was expensive, which limited our intended days out on the many cycle routes. But we found a great archery place near with 30 stations to aim at which proved a great day out and repeat visit required! on site sauna was good and wash facilities were of an amazing standard - even had a make up room for those who wanted it. An excellent location with the towns of bruck an der gross glockner strasse, zell am see and kaprun nearby. Lots of activities and a very nice park with beautiful scenery. Very disappointed as mobile home right next to main road, we were woken every morning at 05.30hrs by artics hurtling past,the mobile home actually shook at times, not very relaxing! the design and layout of the mobile was only practical if you were over 5foot6inches tall and never wanted to prepare food, as i'm 5foot 1inches istruggled to reach the crockery and has very little spact to prepare any food.thankfully the weather was great and we went out each day. The reps steve and alison were helpful and informative.as a loyal eurocamp customer I was really disappointed, thankfully the first week of the holiday in italy was up to your normal standard. This is a lovely camp and we had good accommodation. The couriers on site were helpful and friendly and had lots of tips about the area. It is worth noting that there is a significant amount of road noise and rail noise which we could hear from our van. (the site is next to a busy highway) furthermore there are pylons which run over large parts of the site which crackle: these caused me to suffer from headaches. . . on the plus side there is a reasonably priced, well stocked shop on site. Also the on site bathroom facilities were amazing and we used these in preference to those in our van. The parc was lovely, very clean and plenty for the kids to do a great base to see all the things we wanted with the train station a 10 minute walk away. Great experience - well placed to explore and lots to do within a 20 minute drive in all directions. a peaceful parc with everything that you would need. ¤ great days. . well organized and good quality. This was one of the best holidays that we have ever been on and we would definitely book with you again. This campsite is set in beautiful surroundings, though was a little too quiet and remote for my family. this is not a fault, it is simply different to what we prefer. . the high mountain pass is to be recommended, even though it is €38, well worth the money for such a stunning experience. The parc was located in a lovely part of austria. The location provides a safe environment for young children and the endless open space provides for a relaxing holiday all round. A very enjoyable holiday, but tiring due to the amount of travelling around to the places we wanted to see, for instance salzburg. We love mountains and there were plenty of those. Weather fantastic, loads to do in the surrounding area. Campsite facilities really good although the child's pool could be much improved. Restaurant food great, service good and good value too. A very good holiday staying at 3 parcs p;us overnight stops on route. the site at bruck must be one of the best in your brochure. Very happy. we got the pitch we requested. no complaints. Campsite very well organised. A very pleasant holiday in beautiful surroundings. Zell am see was just one of the sites we visited on our trip to europe. we visited 9 sites in total. zell am see is in an awesome location and the couriers were particularly helpful! Did not get to zell-am-see due to breakdowns, appalling weather and a road closure that would have meant an 150 mile detour to get there.